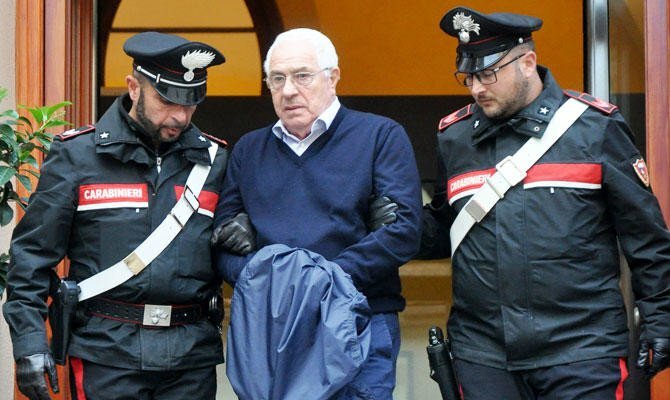 (by Agence France-Presse at France24.com) – Police arrested dozens of suspected mobsters in Europe and South America on Wednesday in a huge international swoop targeting Italy’s notorious ‘Ndrangheta mafia clan, officials said. Hundreds of police took part in Wednesday’s operation, seizing four tons of cocaine, 120 kilos of ecstasy and two million euros (dollars) in cash across Germany, Italy, the Netherlands, Belgium, Luxembourg and Suriname. “Today, we send a clear message to organized crime groups across Europe,” Filippo Spiezia, vice president of the EU’s judicial agency Eurojust, told reporters in The Hague. Despite intense police attention and frequent arrests, the organization has continued to extend its reach. It has surpassed Sicily’s Cosa Nostra and the Naples-based Camorra in influence thanks to control of the cocaine trade and is the sole mafia organization to operate on all continents, according to anti-mafia prosecutors. From an AFP (Agence France-Presse) report published at France24 .com on December 5. Reprinted here for educational purposes only. May not be reproduced on other websites without permission from France24. In Germany, Wednesday's operation focused on restaurants, offices and apartments, mainly in the states of North Rhine-Westphalia and Bavaria region. Prosecutor Fred Westerbeke said they had also probed ice cream parlours, adding that together with restaurants "the suspicion is that the mafia organisation is laundering money through these establishments and they are used as a cover for their criminal organizations." The European police agency Europol said it was a "decisive hit against one of the most powerful Italian criminal networks in the world."